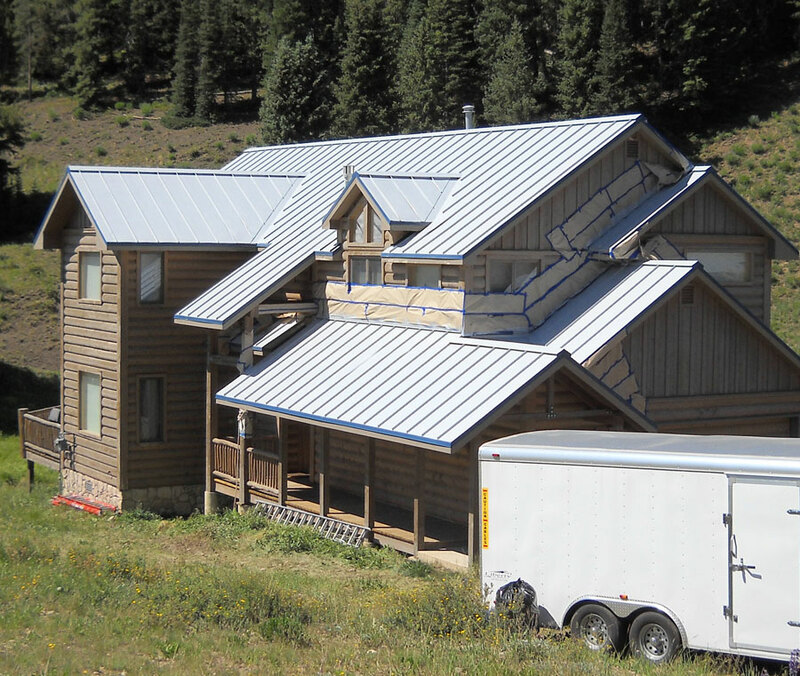 The standing seam metal roof of the Wolfe Residence, located in Crested Butte, Colorado had suffered severe degradation resulting in the peeling of the factory finish down to the galvanized substrate. 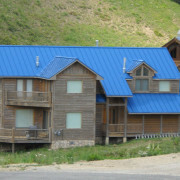 The damage occurred at an accelerated rate due to the excessive snow and ice loads experienced at the 7,000-foot elevation of the Rocky Mountains. As a result, the roof’s integrity was undermined. 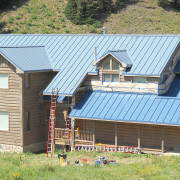 Replacement of the roof was cost prohibitive; roof restoration was deemed the appropriate solution. All-Tech turned to PPG Industries, a leading coatings supplier based in Pittsburgh, PA, for a solution. The answer was PPG’s Coraflon® ADS (air-dry system,) a field-applied fluoropolymer coating ideal for the refurbishing of weathered metal and aluminum building panels. 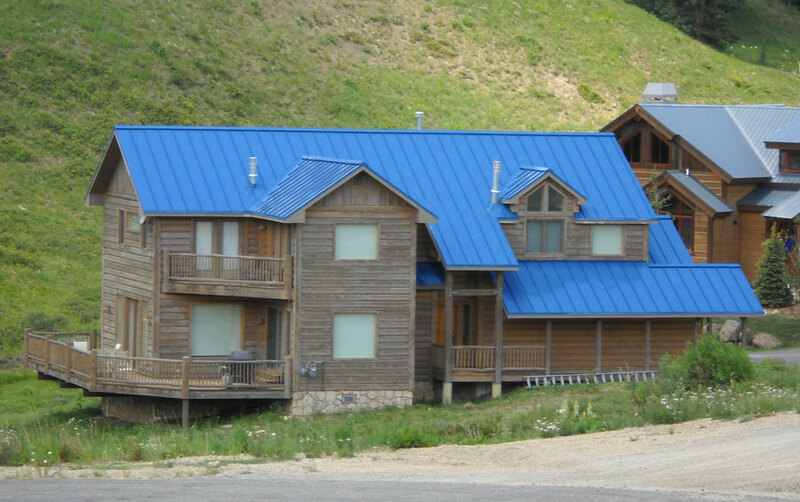 Introduced in 1995, Coraflon, a paint manufactured with the Lumiflon® (FEVE) resin system, fulfilled every requirement set forth by All-Tech. 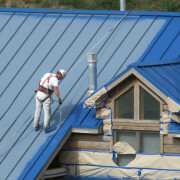 Proper surface preparation was critical to the success of the application. All-Tech removed the factory finish and created a 1.0-mil surface profile prior to installing 5.0 mils DFT (dry film thickness) of an epoxy primer. Finally, 1.8 mils of Coraflon ADS containing Lumiflon (FEVE) resin were applied. 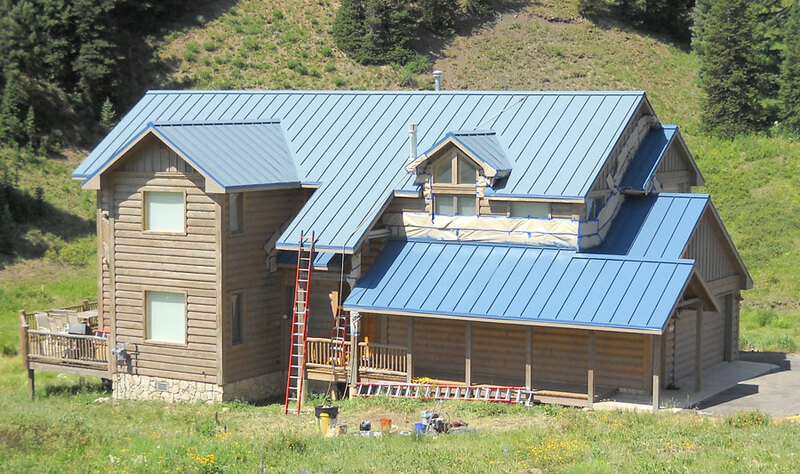 The result was a low maintenance, aesthetically pleasing roof capable of withstanding the unforgiving weathering cycles of the Colorado Rocky Mountains. LUMIFLON, a product of the Asahi Glass Company, is a solvent-soluble fluoropolymer that offers distinct advantages to the architectural market. LUMIFLON provides architects with the option of using brighter colors and higher gloss, allowing gloss values as high as 90; offers the flexibility to be heat cured or cured at ambient temperature, giving fabricators a choice between shop application or application in the field; and can be used successfully on a number of materials, including steel, aluminum, fiberglass, concrete and polycarbonate for 30 years without fading. 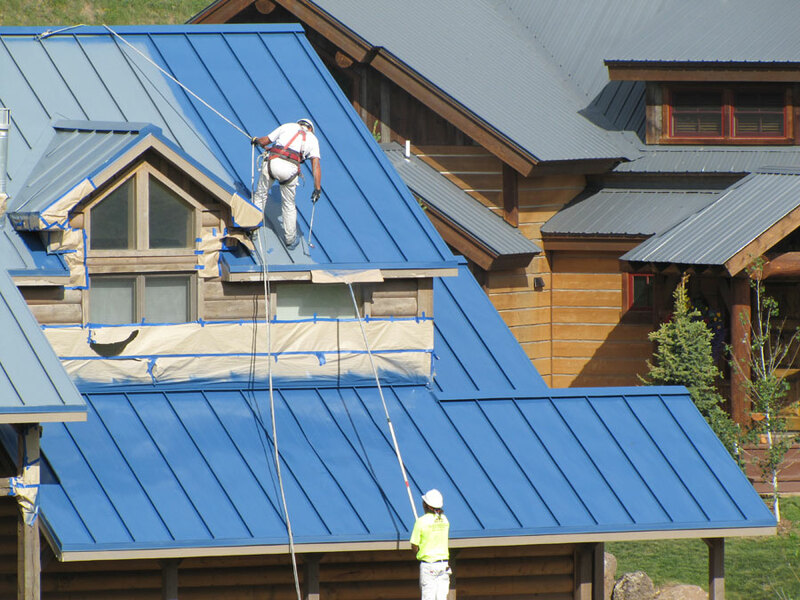 ATD is a division at All-Tech Decorating Company, Romeoville, IL, which specializes in the application of high performance coatings on metal substrates, and mostly architectural standing seam metal roofing and curtain wall systems that have a baked on fluoropolymer finish. PPG Industries, Pittsburgh, PA, is a leading coatings and specialty products and services company, serving customers in construction, consumer products, industrial and transportation markets and aftermarkets. PPG has manufacturing facilities and equity affiliates in more than 60 countries around the globe. 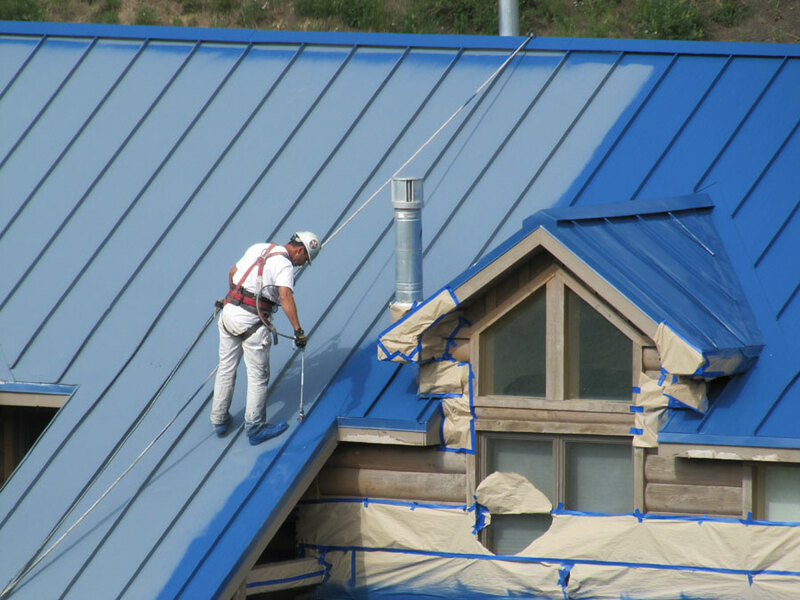 5 Responses to "LUMIFLON FEVE Resin Used to Restore Metal Roof Degradation"
i have an inquiry about the blue paint on the roof in CO. Please contact me with information. Thank you. 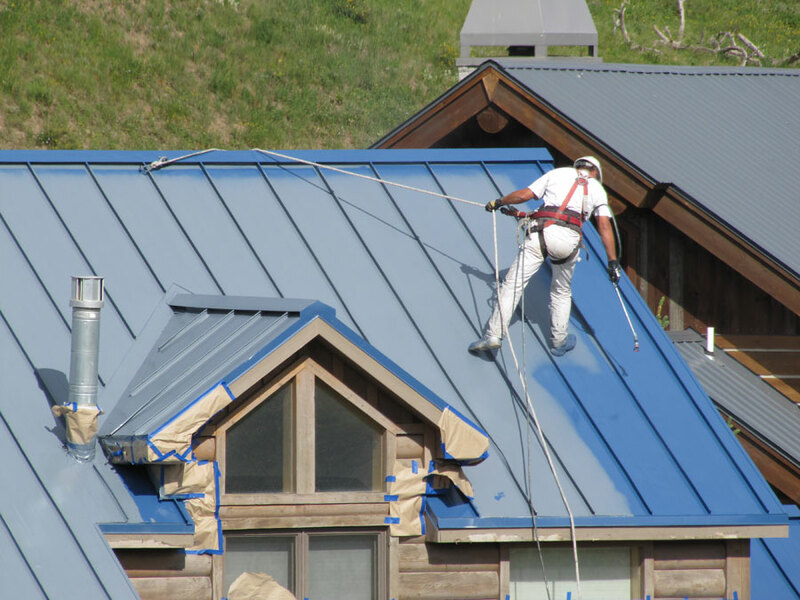 what was the price per square foot for cleaning, sand blasting,priming,and applying finish coats VS.buying a new roof…and are you giving a written 10 year warntee…. this is tuka paint in iran. I am technical manager in our company. 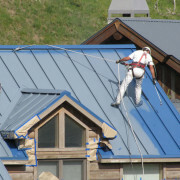 We are producer coil coating for roof, hous appliance,…. based feve and pvdf resin. You have this resin. 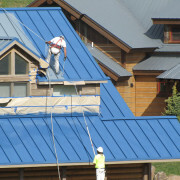 We need pvdf resin or feve for cool roof. Is it possible send to me your suggest and do you have interested with our about it. 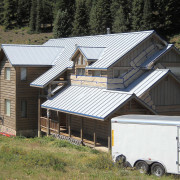 I have a standing seam roof on my Hawaii house. Have been noticing some scattered rust spots and feel I need to take quick action to prevent rust out. What preparation process works best with your product for both the rust spots and the undamaged areas?